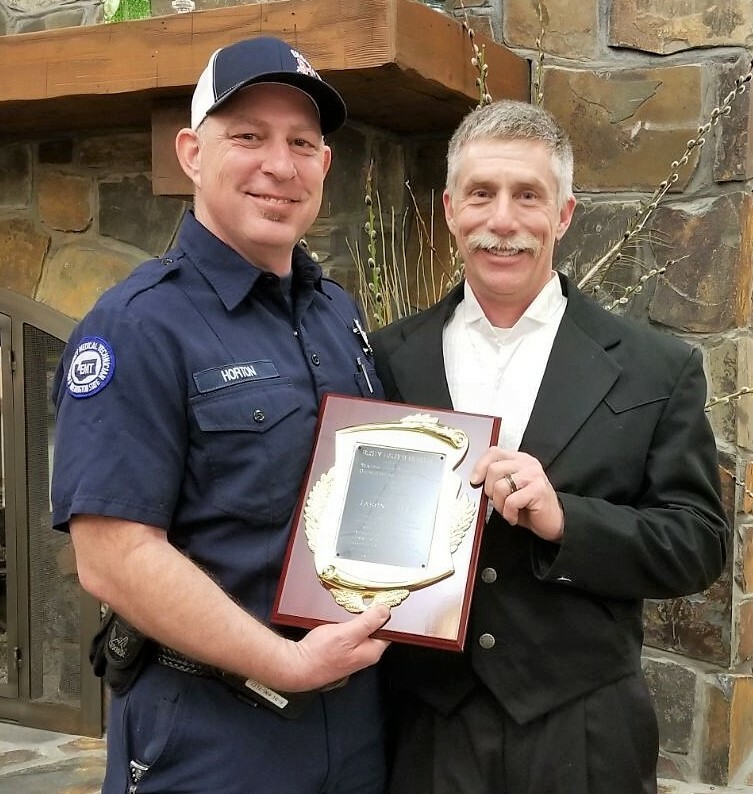 The Yakima Fire Department presented annual awards during the 2019 IAFF Retirement Ceremony and Celebration event held last Thursday, March 20th. 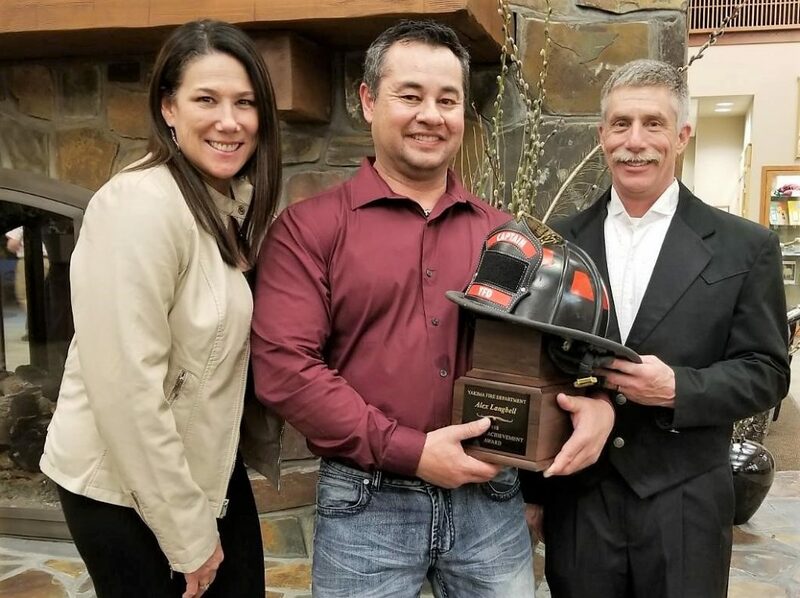 Firefighter Jason Horton received the Rusty Hauber Memorial Outstanding Achievement Award, Firefighter of the Year. 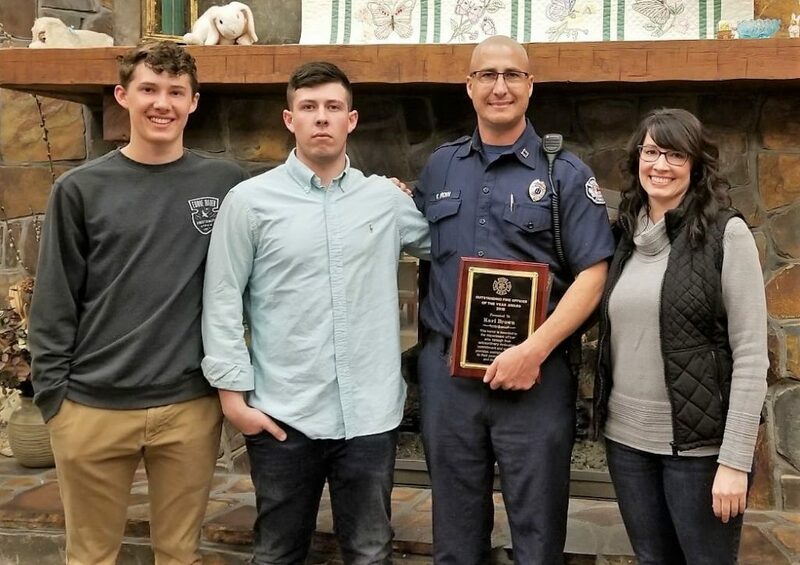 “The award is presented to Jason as the firefighter who made the most significant contributions to the Yakima Fire Department during the year,” said Yakima Fire Chief Aaron Markham. Visit https://yakimafire.com/ or call 575-6060 for more information about the Yakima Fire Department. Jason Horton is presented the Rusty Hauber Memorial Outstanding Achievement Award, Firefighter of the Year by Fire Chief Aaron Markham. Captain Alex Langbell, pictured with Tina Richardson, receives the Lifetime Achievement Award from Fire Chief Aaron Markham. the Fire Officer of the Year Award. Have a Knox Box question?